We work closely with carpet & chemical manufacturers to ensure the correct processes and chemicals are used to keep your warranty intact. Our techicians receive explicit in-house training in different carpet types (such as Olefin, wool, nylon, etc). We encouraged and financially assist all our technicians to become certified. We are a former Shaw© product care provider. Jobmaster has been professionally cleaning carpets for a long time, and we’ve seen many competitors come and go. Its important when you are considering choosing a carpet cleaner to be as informed as possible. There are many ways to “clean” a carpet and you want to ensure you are getting your money’s worth. 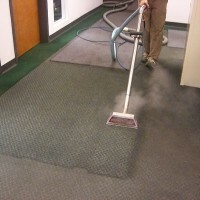 Surprisingly, the most effective form of carpet cleaning is actually….. vacuuming! Dry-soil removal, when performed correctly and at the right frequency, has the potential to remove over 70-80% of the “stuff” stuck in your carpets. The best carpet cleaner you can hire is actually YOURSELF!! The carpet manufacturers recommend vacuuming your carpets once per week per person in your house (and pets count as people). Now, most people don’t vacuum this often, but if you can make the time, there is no better way to keep your carpets looking good longer. 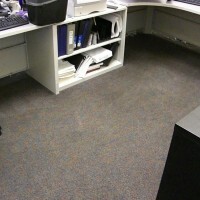 The purpose of other cleaning methods is to extract the remaining 20-30% of soiling that can’t be removed by vacuuming. Remember to compare apples-to-apples. Are they both utilizing the same process (Extraction vs bonneting, etc)? Are they utilizing the same equipment (truck mount vs portable)? There are big differences between different “cleanings”. 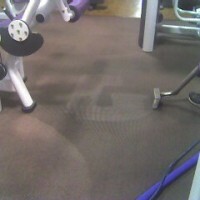 Remember, vacuuming is technically “carpet cleaning”, but you probably wouldn’t pay for that, right? Make sure everyone is on the same page. Hire a reputable company. Are they certified? Are they insured? How long have they been in business? Did they provide you with a final quote? Is it one guy with his own truck, who may get hung up on another customer, or is it a large franchise where you are just a number? If you found them from a yard sign on the side of the highway or you picked them because they are cheaper than everyone else, don’t be surprised if the results are less then stellar or they say you owe more at the end. Ask them what to expect. The more familiar you are with what you are supposed to receive, the better you can hold them accountable. Also, anyone who promises extraordinary results is probably more salesman than cleaner! Even some of the best cleaners, like us, can’t get everything out. Some areas may be permenantly damaged and won’t get better (there are usually other options available) and a good cleaner will tell you so. Request that your carpets are agitated, and not in an emotional way. Agitation (the physical process of movement involved) helps the entire cleaning procedure produce better results by breaking up more soiling. Think of this analogy: Would you buy the best washing machine, use the best detergent, add hot water & your clothes, then not turn the machine on? Of course not! Don’t let them forget the integral part of carpet cleaning, which is most often skipped, the agitation, often called “scrubbing” or “brushing”.